The best thing about making your own bath bombs? You can give them whatever scent you want. There’s a scent for every mood and every feeling. And if there’s one season that gives us all the feels, it’s fall. When Summer officially changed into Fall I was still in denial. The sun was shining, birds chirping, and walking around the city with a gelato in your hand was still considered acceptable. No way this beautiful weather would end any time soon. Until this weekend. Sweater weather is back and with a vengeance. Chilly winds and a non stop down pour of rain have replaced those beautiful sun clad days. I’ve already delt with that change of the seasons flu, and now all I want to do is snuggle up with a warm matcha latte in front of a laptop with a Netflix account. Another fall favorite of mine? 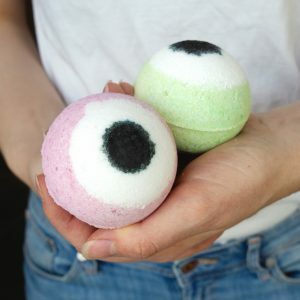 Taking long baths with delicious smelling bath bombs! And what season smells better than fall? Think pumpkin spice lattes, apple cinnamon pie and hot chocolate with lots of whipped cream. Here’s a selection of my favorite fall scents for bath bombs to bring the coziness of fall into your bath room! I’m part of the Amazon Affiliate Program, so if you purchase something when you click on some of these links, I might receive a small commission (at no additional cost to you!). My favorite way to scent bath bombs is by using essential oils. Start with a basic bath bomb recipe and add about 15 drops of essential oil to the dry ingredients. 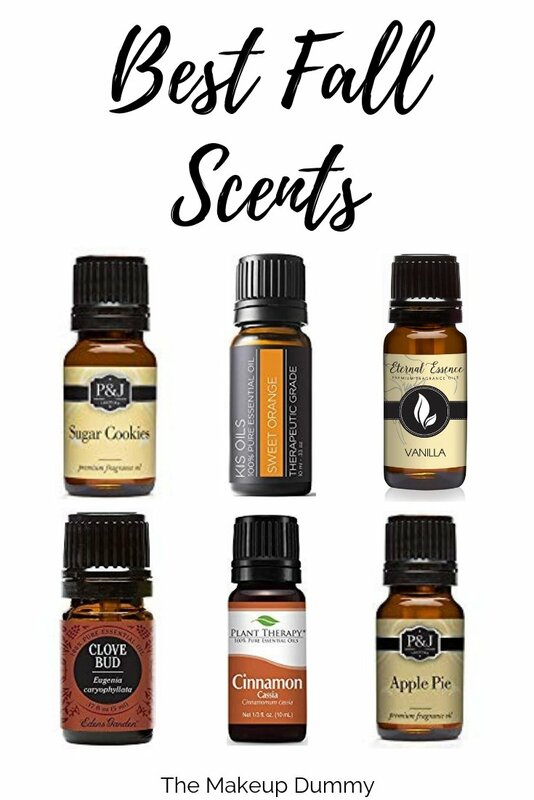 Choose 1 essential oil you love or pair a few together to create your own unique scent. Cinnamon reminds me of warm apple pie. Its sweet, invigorating scent makes you feel all warm and fuzzy inside. Cinnamon is a very powerful essential oil. Just a few drops is enough to make your bath bomb smell heavenly. 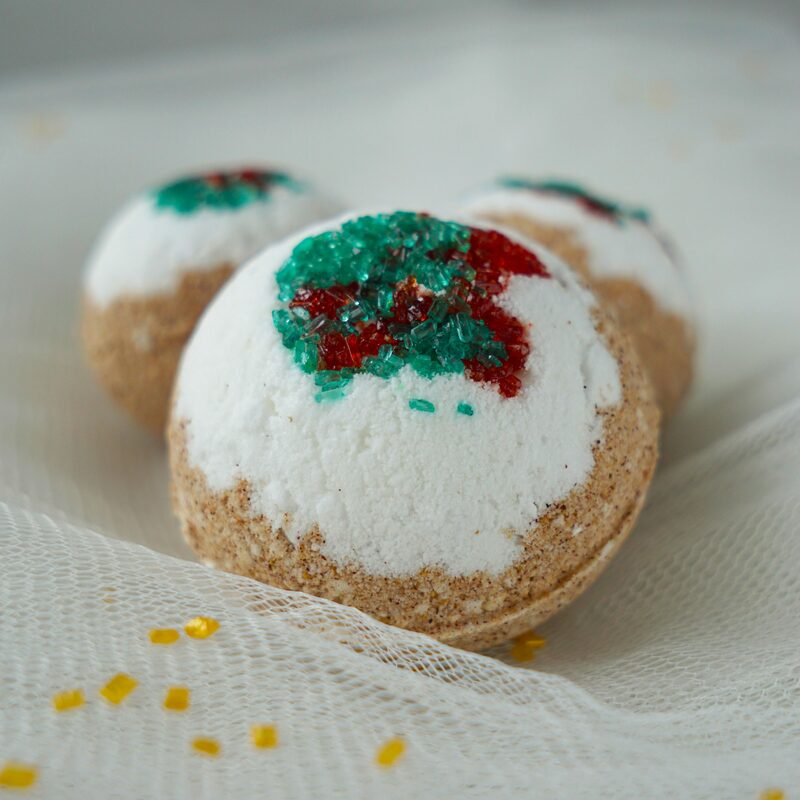 I used a few drops of cinnamon essential oil in my Gingerbread House Bath Bombs recipe. Another sweet essential oil that works great in a bath bomb is Sweet Orange. You can find vanilla as an essential or a fragrance oil. This scent needs no introduction. It reminds me of fall desserts and hot spiced lattes. You can use vanilla on its own, or pair it with another oil you like. There’s a whole bunch of earthy or woodsy smelling essential oils that make a great choice for a fall bath bomb. Think Cedarwood, Clary sage, Sandalwood or Cypress. They’ll make you feel like you’re wandering around in a forest, on small paved paths covered with yellow and orange fallen leaves. Another great fall inspired scent is clove. This warm essential oil pairs great with sweet orange. If you’re looking to mimic an exact scent, lets say warm apple cider, or a pumpkin pie, fragrance oils are your choice. They’re considered more artificial than essential oils, but if you don’t mind that here are a few of my top choices. 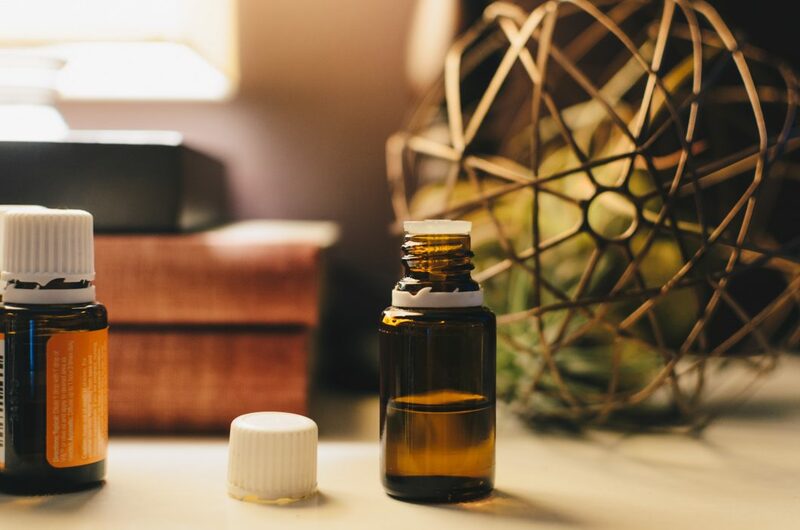 To use fragrance oils in your homemade bath creations, read the instructions that come with the fragrance oil, as the amount you can use might differ depending on the kind and brand you’re using. Everybody’s favorite fall scent! Let’s face it: Fall is just an excuse to nip on a pumpkin spice latte all day long. With a pumpkin spice fragrance oil you can now bathe in it too. If you can think it, you’ll find a fragrance oil for it. Like apple pie for example. As our bodies will be covered in cute sweaters we can start indulging again. If you want the treat without the calories, opt for a Sugar Cookies fragrance oil in your handmade bath bombs instead. It doesn’t always have to be a pumpkin spice latte. Maybe you like spiced cider instead! There are many more fragrance oils out there, so look around and let all those crazy names inspire you. Using herbs and spices gives your bath bombs a much more subtle scent, but it’s a great A great, natural way to give your bath bombs some color and scent. Just as much of a popular choice as pumpkin spiced ones, make a chai latte inspired bath bomb. Add a bag or about 1 tablespoon of pure chai tea to the dry ingredients. 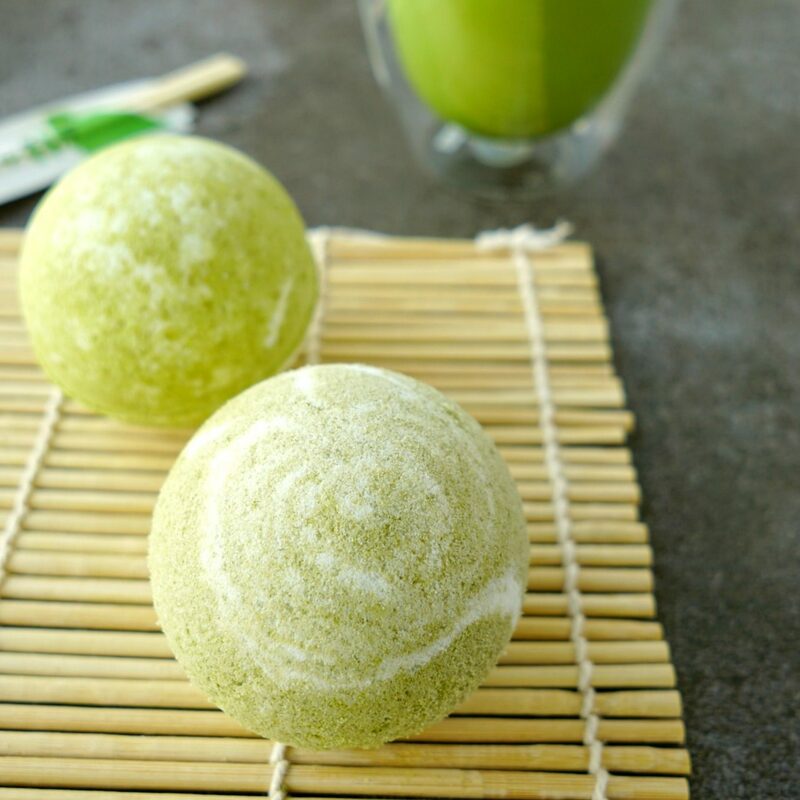 I used a similar method to make my Matcha Latte Bath Bombs. You can also add a tablespoon of dry coffee grounds to your dry bath bomb ingredients. Add a little bit of vanilla and chocolate fragrance oil as well and you can create the most delicious smelling frappuccino bath bombs! Inspired by a turmeric latte, turn your bath water into golden milk. 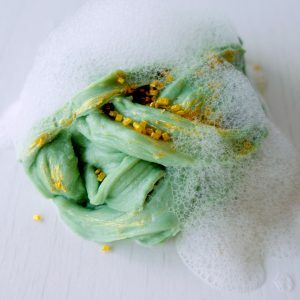 By adding Turmeric powder you’ll give your bath bomb a yellow, orange color. Perfect for some natural, fall inspired cuteness. Now that you’ve got your scent figured out, you can start choosing the right colors and shapes for your bath bombs. Instead of going with the usual round shaped bath bombs, pick a mold that’s shaped as an acorn, squirrel or fallen leaf. Pick a gorgeous autumn color like orange, green or golden brown. And don’t forget to add your favorite scent of course! Save this post for later, so you can always get back to it for a little inspiration. Pin it on your Fall or Beauty Pinterest board or share it with your friends on Facebook. Feel inspired yet? I can’t wait to hear what you’ll create! What’s Your Favorite Fall Scent? The featured photo of this post was made by Kelly Sikkema (Unsplash). 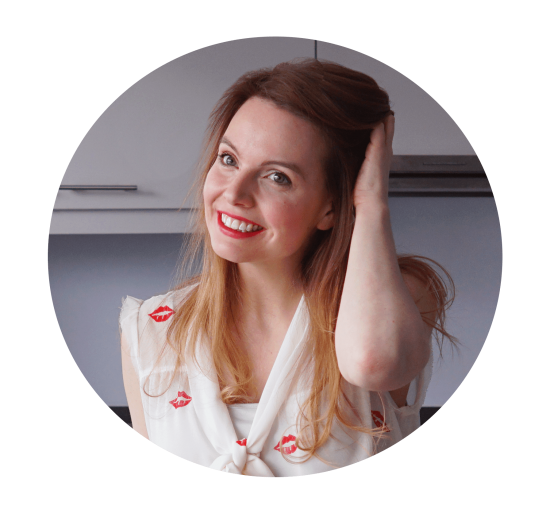 I’m now on Bloglovin’ !